Start by selecting the product variants from the start menu on your control panel. Once you have done this, orange is now an available option. Ok, so next we’re going to create the option for bike size. So on the left hand panel, we will click add, and type in ‘Bike Size’. There is now an option on the right hand side for this. What you then want to do is add in all of the possible bike sizes you are going to be selling. Ok, so the preparing is now complete, we will now show you how to implement this into a product. 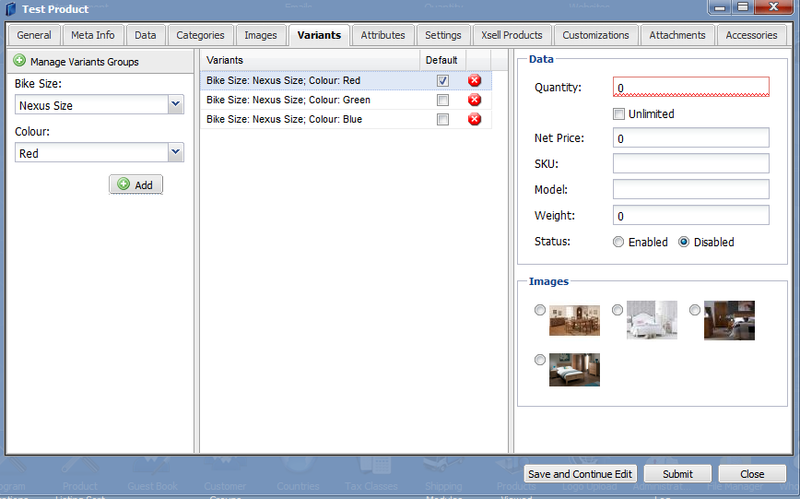 Using our product bulk edit, you can save yourself hours by adding in the same data onto multiple products. More information will be available within the control panel guide. 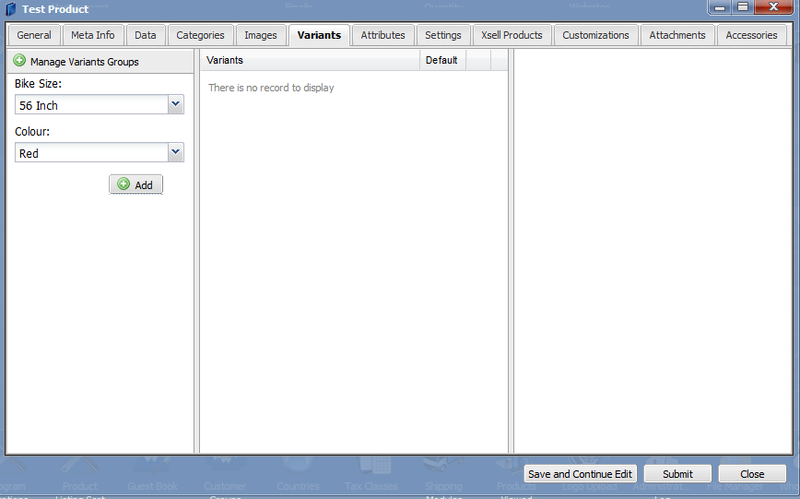 Once you have entered back into products, opened the product you want to add the product variants into to, select the products variants tab you then have a ‘Manage Variants Group’ button, click it and you will see the screen depicted in the image to the right hand side. Let’s say for example this bike we’re adding has the possibilities of being red, green and blue, and only at the available size of Nexus Size. 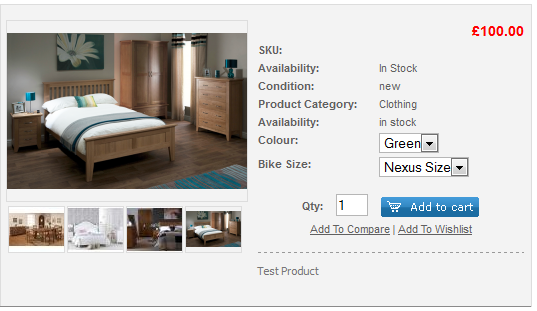 We would need to be able to select a bike size & colour so select these two boxes and click add. So I will select from the dropdown menu the possibility and then click add, this will result in a screen that can now be viewed on the right hand side. Using the middle column, select the combination you want to add information for, and then you will need to fill out the data again, similar to what you would have filled out in the data tab. You need at the minimum to set a quantity to higher than 1, the status to enabled and include a price. You can also select an image for each variation to appear on the front end of the website. The end result is that the default price will appear on all listings so select that one carefully. The customer now has options. 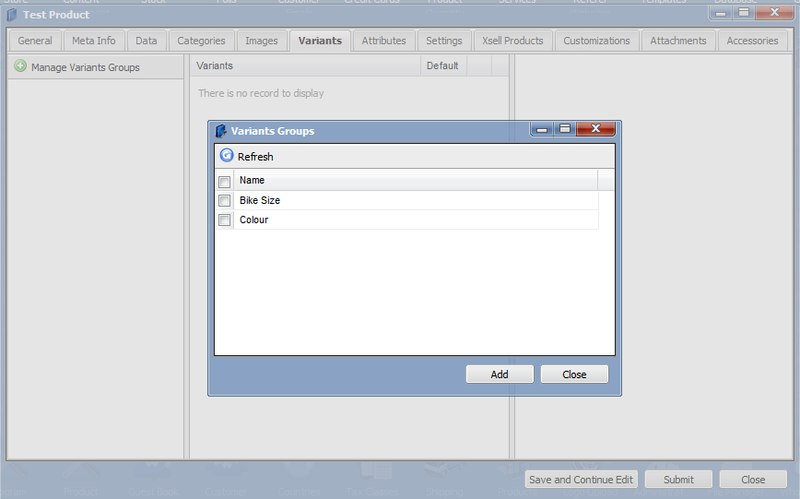 This completes how to add product variants in.